As the season shifts, it’s important for home and business owners to prepare their living and working space for warmer temperatures. 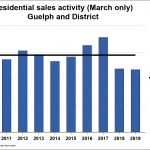 According the Guelph & District Association of Realtors in the City of Guelph the number of homes sold year-to-date is up 14% The Average Sale Price in the City of Guelph is up 6% year-to-date. Executive South End & Conservation Lot! Tranquil Views & Lots of Space! While Canadian investors have started to heat up some American markets such as Phoenix, overall U.S. home prices have continued their slide, numbers out Monday show. Bank of Canada governor Mark Carney elected today to keep the benchmark target for the overnight rate unchanged at one per cent, a level held at since September 2010. 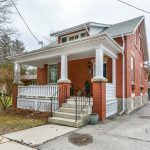 According to statistics released today by The Canadian Real Estate Association (CREA), national resale housing activity edged higher in March 2012. The Perfect Blend of Old & New!